Our Beloved, Our Friend: A revelation of - an opportunity to experience intimately - the greatest love story ever, through the Word. It is a study of the Word, both the Old and New Testaments, through the lens of Psalm 119. The greatest love story of all time culminated in a Cross, yet continues ... forever. Do you long to deeply experience this great, eternal love story? Jesus promises if we draw near to Him, He will draw near to us (James 4:8 NAS). Our Beloved, Our Friend is an opportunity to draw near to Jesus, to experience and respond to His love, and to grow in your relationship with Him. 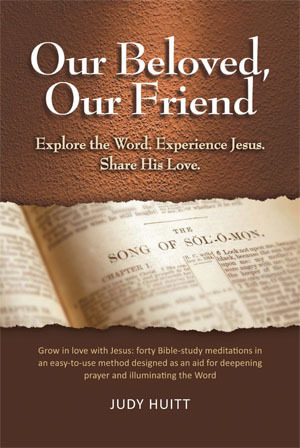 You will prayerfully explore the Word and experience Jesus in forty Bible-study meditations that use a simple, instinctive method - a "Pattern" taken from Psalm 119. (Journaling space is provided.) This relationship-based Pattern can become a part of you as you pray the Word into your life. It will enable you to behold Jesus within your soul, in the happenings in your world, and in every facet of your life. It facilitates a closer walk with Jesus that allows His limitless, liberating love to permeate your spirit, then overflow from you and touch others. After you've completed the forty Bible study meditations, Our Beloved, Our Friend's easy-to-use Pattern and Appendix can continue to help you dig into the Word for yourself and deepen your relationship with Jesus. The Pattern can serve you as a tool: • to use in ongoing personal devotional time with Jesus • to share in one-on-one fellowship • to mentor, disciple individuals and groups • to lead Bible studies, retreats, and seminars • to study a single verse, a portion of Scripture, or a book of the Bible • to teach Sunday school or other small groups with little or no preparation. Our Beloved, Our Friend will assist you - through the lens of the Word and the light of the Holy Spirit - to know and love Jesus more intimately, to fulfill your call to live the Word, and to share His love.